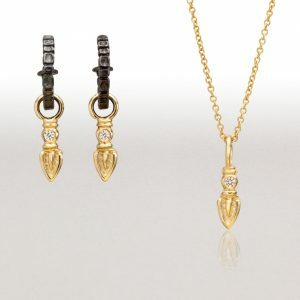 These Platinum-enhanced Sterling earrings are set with rock crystal triangles and cognac diamond accents. These earrings are sold. 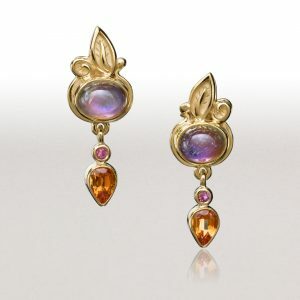 Earrings with stones of similar character can be made to order. The price listed is approximate. 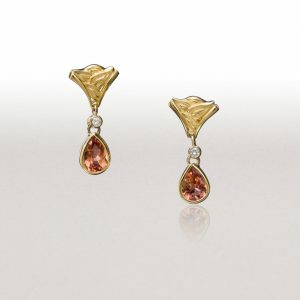 These earrings are made of Platinum-enhanced Sterling. 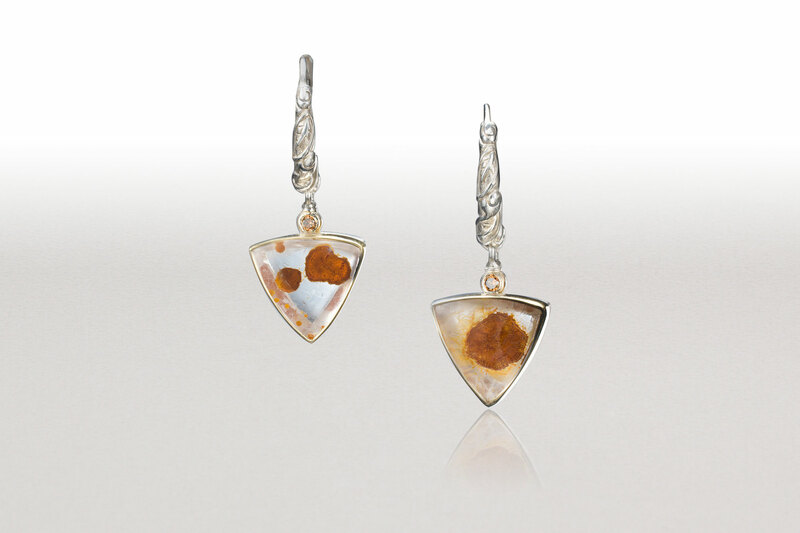 5% platinum makes the metal lustrous and hypo-allergenic. Rock crystal triangles have red pyrite inclusions, dangling from comfortable lever-back hoops and accented with cognac diamonds.